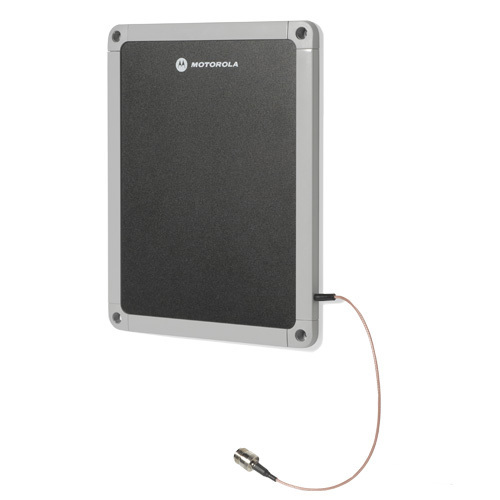 When your application calls for a "picture-frame" aesthetic antenna deployment, look to one of the newest ultra-low profile members of the Motorola family the AN610 slim line antenna. The AN610 features a simple, integrated mounting system that lets it stand just under one-half inch (12mm) from horizontal or vertical mounting surfaces. Space-saving and stylish, the outer housing is designed to be sleek and discreet enough to be at home in any business setting but rugged enough for indoor industrial environments. A perfect complement to the FX7400 RFID reader, the AN610 antenna is ideally suited for use in wall mount, doorways, under counter, above counter as an RFID pad, on shelves, POS or end-cap displays like jewelry counter applications.